June 26, 2015, 10 a.m.
By Mark Coddington @markcoddington June 26, 2015, 10 a.m. The collective response to the mobile news app Circa’s shutdown on Wednesday has largely cast it as a noble news experiment that failed — a company that tested an interesting idea for mobile news delivery but ultimately fell victim to overhype, lack of use, and neglect of a business model. But we haven’t talked as much about the other half: What exactly were Circa’s new ideas about how to deliver news, and how might they contribute to the development of the news industry? The ready answer is “atomized” news — the idea that news should be thought of in smaller units than the traditional article, and that it can be broken down into smaller, more granular chunks that can eliminate the unnecessary and repeated background information for users who already know a lot about a story. That’s the idea that Circa has always emphasized as the foundation underlying its system of “following” stories and, as former Circa editor David Cohn noted, the idea that seems to have caught on more broadly within the industry since their founding. Most of that idea has been oriented toward how news is delivered and consumed — how it’s presented to the user, and how the user experiences reading and following a news story. But we don’t know as much about the production side: Did Circa do anything that was new or distinctive in making news, or was it just ye olde aggregation? I think it did. I studied Circa’s production process this year as part of a dissertation I’m finishing up on news aggregation, and for a week this winter, I watched over the shoulder of Circa editor-in-chief Anthony De Rosa as he worked in Circa’s New York office, peppering him with questions. I also interviewed six other current and former Circa journalists about their work. What I found was that Circa’s atomization may have had almost as large an impact on its production of news as its presentation, and in a way that actually broadened the way its journalists thought about news stories, rather than isolating them. Let’s start with the stories themselves: For all Circa’s talk about moving away from the article as the core unit of news, Circa’s stories looked a heck of a lot like your traditional inverted-pyramid-based news article. Its writers tried to make each paragraph a discrete unit that could be understood apart from every other paragraph — each paragraph, which they called a “point,” was a distinct entry block in its CMS. But when you strung them all together into what the first-time reader of a Circa story might see, they basically formed a traditional news story not unlike one you might have seen a couple decades ago in a newspaper or wire article. The distinction of atomization, then, came in Circa’s practice of only showing returning readers the paragraphs they hadn’t yet seen. But that didn’t directly affect Circa editors’ work much — just write up the new paragraph, decide whether to send a push notification, hit publish, and the tech would take care of alerting the story’s followers to the new information. Instead, the bigger distinction came in the way atomization led Circa’s editors to organize the universe of news events itself. For Circa, each news event was not a story in itself, but only a part of a broader ongoing story that stretched across numerous related news events. So if, for example, the president made a speech about a proposed piece of economic legislation, Circa didn’t see the speech as a news event itself, but as just a small piece of the larger story of the fate of this proposed legislation. This led to a view of news events as a more interconnected whole, with Circa editors thinking about each story in relationship with other stories. If they misclassified an event as part of one story when it turned out to be a better fit with another one, it might require substantial rewriting to clean up the mess in both stories. It also led them to think about the way stories developed over time as a core part of those stories. Understanding when to branch a new story off a major news issue required an ability to see the story’s trajectory over time and judge whether enough might happen to the story in the future to make it a new story worth following. This approach introduced some new problems: Because events’ newsworthiness couldn’t be determined based on the event by itself, it sometimes became more difficult to see the newsworthiness of stories that didn’t have a clear place within Circa’s story structure. Circa editors could always start a new story for an event that didn’t fit, but if that story didn’t have much of a chance at substantial updates in the future, it wasn’t as likely to be seen as news by Circa standards. But in general, the ability to see virtually every news event as inherently part of a larger whole was a valuable part of Circa’s news production that has tended to elude most journalists. Scholars dating back to the sociologist Robert Park in 1940 have found that news comes to the public “not in the form of a continued story but as a series of independent incidents,” and anybody who’s tried to follow big-picture or long-running news stories has likely reached the same frustrating conclusion. But Circa’s branch system required its journalists to view every event as inseparable from some broader social or political context, which seems much closer to the way things function in reality than the way they have traditionally been presented in news. Circa’s branch-based taxonomy of news stories also hints at the potential of an idea that’s a conceptual sibling of the “atomic unit” — the importance of structured data in news. Circa’s branch system wasn’t truly structured — it wasn’t a relational database, or even a spreadsheet — but it was an attempt to systematically organize all of the events Circa had ever covered as individual pieces of one holistic network of news. Circa wasn’t the first news organization to try to incorporate this idea into its basic structure — it was a big part of Matt Waite’s inspiration in his development of PolitiFact, with its database of politicians’ veracity. But Circa demonstrated the result when events are treated as individual, atomized units capable of being structured into larger wholes: It leads journalists not to break them down into isolated occurrences, but the opposite — to think of them as more thoroughly connected to broader ongoing stories and issues. Where could a news organization with more reporting resources, a larger informational reach, and a stronger editorial voice take this idea? How much institutional knowledge could it capture and organize, and how many insightful links could it create between seemingly disparate events for readers? How could it change the way a newsroom saw the news it covered? Could it even lead a news organization to create a functional archive system? Circa won’t get to answer these questions; it wasn’t able to turn this type of structure into a sufficiently compelling editorial product. Still, it could prove a valuable initial attempt to use structure to push journalists toward a broader and more integrated vision of the news. 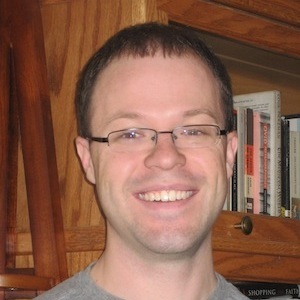 Mark Coddington is an assistant professor of journalism and mass communication at Washington & Lee University. For several years, he wrote the This Week in Review column for Nieman Lab. 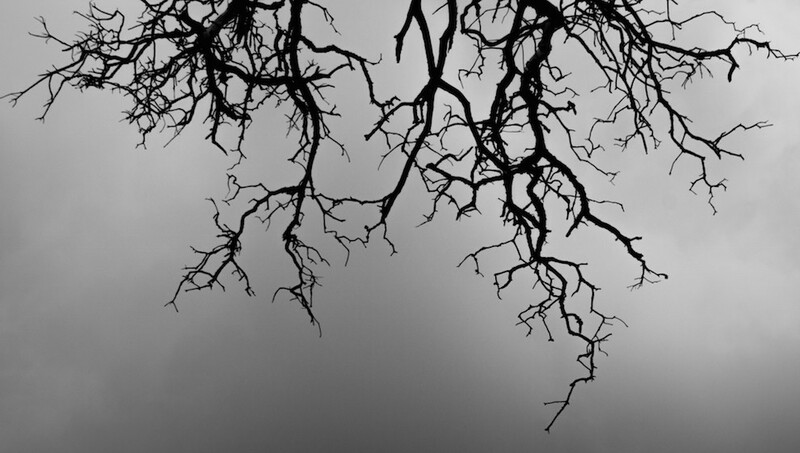 Photo of branches by Graham Clenaghan used under a Creative Commons license. POSTED June 26, 2015, 10 a.m.
Coddington, Mark. 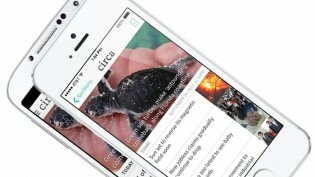 "One thing we can learn from Circa: A broader way to think about structured news." Nieman Journalism Lab. Nieman Foundation for Journalism at Harvard, 26 Jun. 2015. Web. 18 Apr. 2019. Coddington, Mark. "One thing we can learn from Circa: A broader way to think about structured news." Nieman Journalism Lab. Last modified June 26, 2015. Accessed April 18, 2019. https://www.niemanlab.org/2015/06/one-thing-we-can-learn-from-circa-a-broader-way-to-think-about-structured-news/.